Small and quaint, our North Fork B&B is truly the best way to spend a weekend getaway without breaking the bank. We are always available and are here to make sure your stay is memorable and comfortable. Enjoy a full country breakfast, free wireless internet and a private outdoor patio. In an area known for its breathtaking coastal beauty, wineries and abundance of historic houses, Wickham-Prince Bed & Breakfast offers you a marvelous and unforgettable view into North Fork, Long Island life. 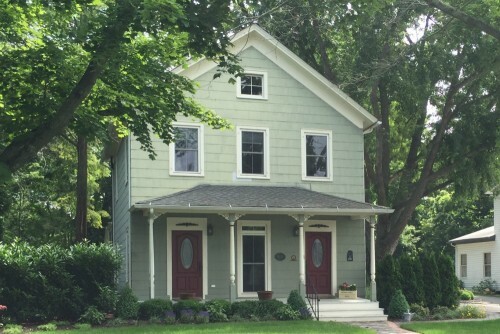 Within walking distance of Southold village, harbor and beaches, our charming B&B provides exceptional service and two welcoming guest rooms to choose from. We emphasize quality amenities and thoughtful service. Your Long Island coastal retreat awaits in Southold, where there are endless outdoor trails to be hiked or biked, antiques to be discovered, and wine and beer to be sampled. A 50% Deposit is required at time of your reservation. The balance is due upon your arrival. Cancellations: A cancellaton 2 weeks prior to your stay will receive a full refund less $50.00 for a processing fee. A cancellation less than 2 weeks will forfeit the full amount.